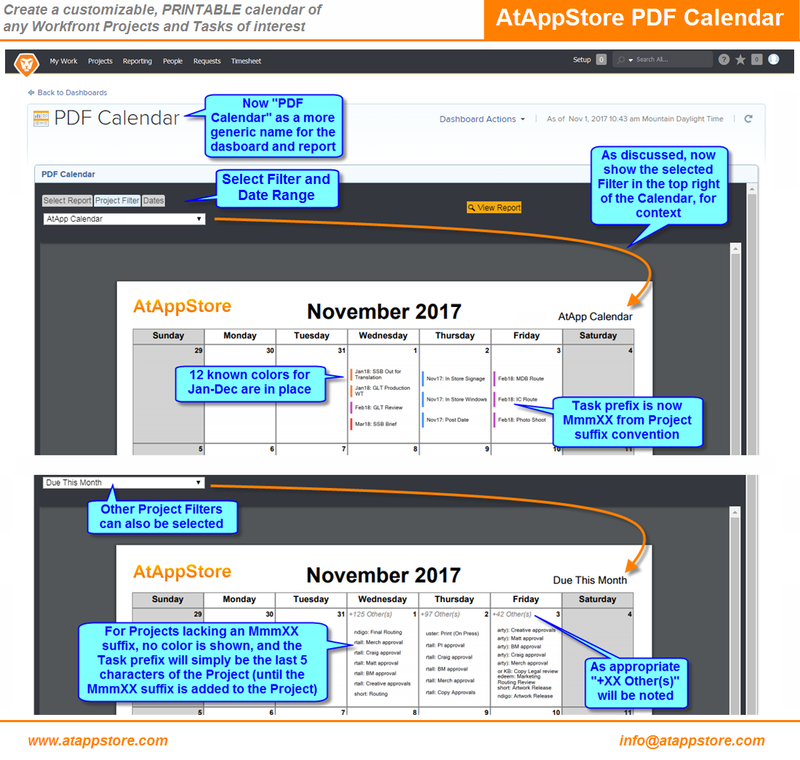 Our PDF Calendar solution grants you the ability to create a branded, customizable, printable calendar of any Workfront projects and tasks of interest, simplifying communication in a familiar and friendly format. 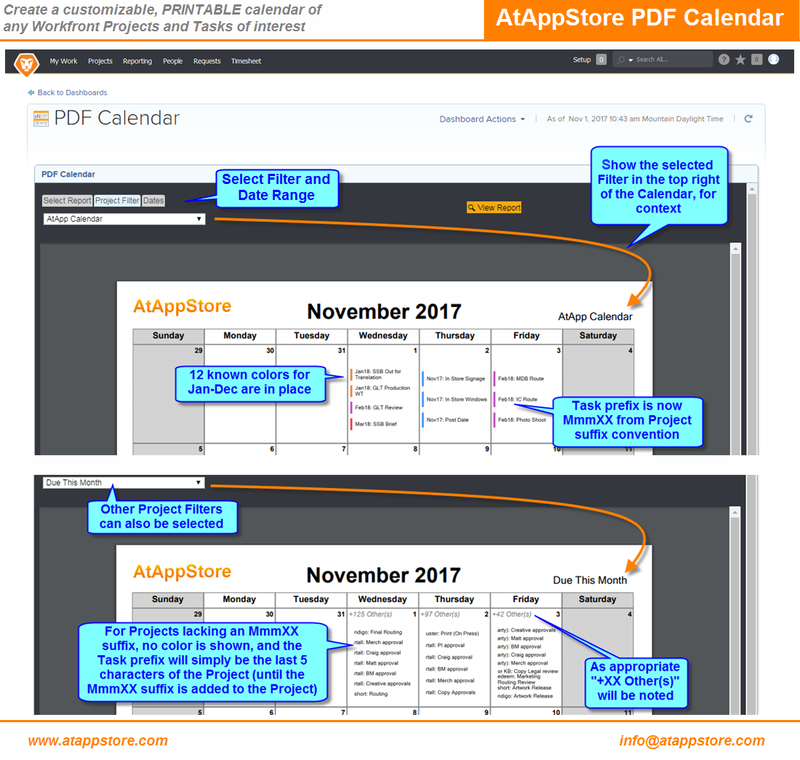 Select a calendar template, project filter, task filter, and date range, then run PDF Calendar to get a calendar chart with entries for either the start or end of ONLY those tasks on those projects. You can set each task to any color you choose, then save to PDF and either then print, file, or email. 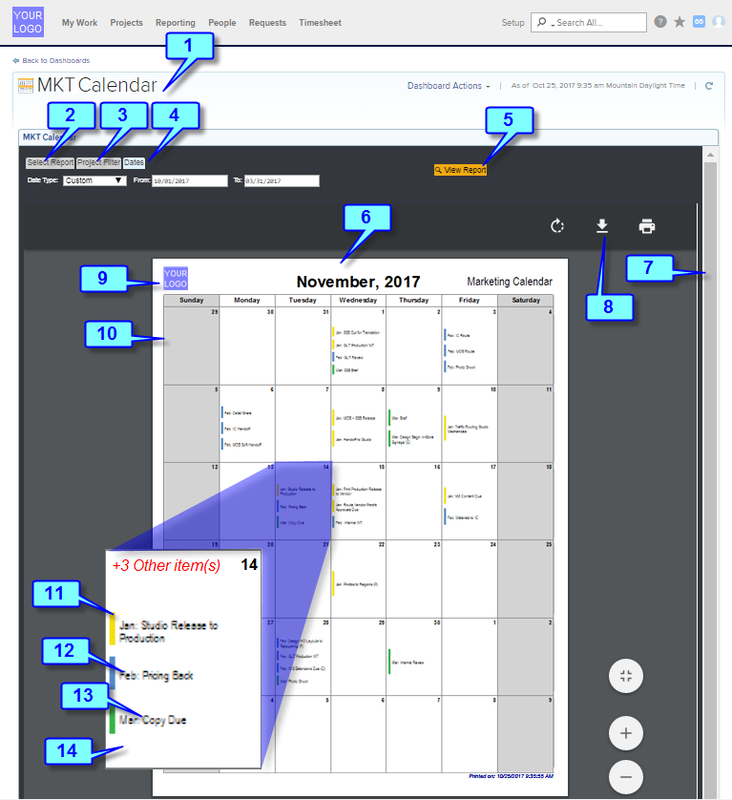 Our Draggable Calendar solution can revitalize the way you interact with Workfront tasks, increasing user satisfaction while improving accuracy, timeliness, and communication in a tactile, intuitive fashion.